Introducing a new anti-hero. Meade Breeze lives on the far outskirts of society with no visible means of support. He survives on his wits and a meager income derived from selling home-grown dope to suburban housewives and home-brewed rum to bums in the park. He's also on the run from his past misdeeds. He fears it will all catch up with him someday, so he stays on the move aboard his classic trawler. Explore the Gulf Coast Islands, Florida Keys, and the Bahamas with Breeze, but keep one eye over your shoulder. His mission to return his dead wife's ashes to their special place seems hopeless. He's going nowhere fast until a chance encounter with a lover from his past changes his luck, or does it? This was read very well...the characters are developed and enjoyed the voices that brought them to life. good s that story. enjoyed listening to it. good story, I enjoyed listening to it. only wished it was true. hope to be similar someday. Very much enjoyed the narration...guy sounds hot! Well written story too. Very nicely done. 5 stars! Very good read of a great story. Looking forward to the next book in series! I really enjoyed the story but did not like the reading of it. The narrator attempted a poor southern accent and paused at every period in an annoying fashion. 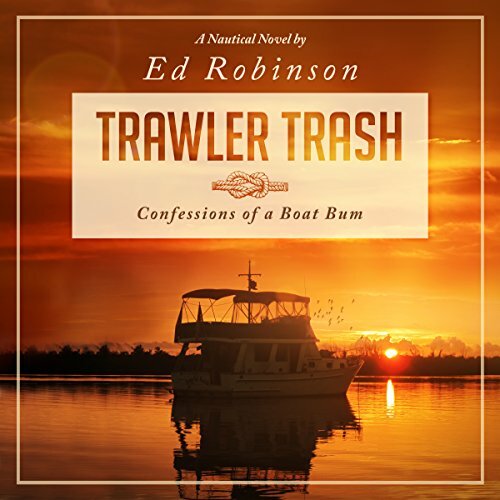 I like Ed Robinson and this story was entertaining and fun. The narrator had a great voice as well. The only criticism I have is the narrator’s attempts at the female voices. For some reason it broke the flow. Looking forward to reading the rest of the series but might read on Kindle instead. What a great book. I focused on this book like no other book I've listened to and let me say that I have listened to a lot of audio books. This story will take you on a journey through paradise, it will make you dream, it will make you sad. I'm now hooked and can't wait to hear book 2. Great job author! Loved the book. The narrator mispronounced words and names of places. If this were a high school kid reading for free, it would be understandable. This is a professional getting paid to read. He needs to better. On the plus side, he does speak well and is easy to understand.